Since 2015, the Wisconsin Ayrshire Breeders Association has been marketing the breed in a unique way never seen before. It’s yielded impressive results, introducing Ayrshires—and their many positive qualities—to numerous farms and new breeders. That’s why the U.S. Ayrshire Breeders Foundation has selected the association as the winner of their 2017 grant of $3,000. So far, their plan to grow the breed has worked brilliantly. The two recipients of the grant in 2015 were given $1,000 each to purchase animals at the Wisconsin Ayrshire Spring Sale. Both of them did just that—and one of them even bought two more Ayrshires that day! Since then, both recipients have been active members of the Wisconsin ABA and are continuing to expand their herds. The results were similar in 2016. The winner of the grant again purchased three Ayrshires on the day of the sale. To add to that excitement, his young son also used the money from a Farm Bureau award to purchase an Ayrshire calf for himself. 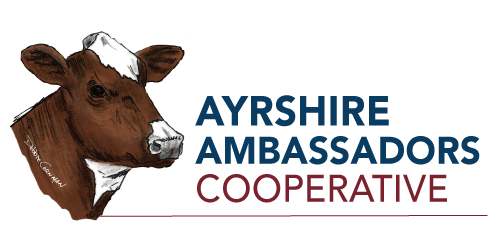 In conjunction with the grant, the ABA also gives out free one-year memberships to all grant applicants to encourage them to become involved in the Ayrshire community even if they don’t received the grant. The results of these efforts have been incredible. Few other programs have had such success in getting Ayrshires in the hands of new breeders. Despite the impressive results, though, the program is funded solely by donations. That’s why receiving the grant from the U.S. Ayrshire Breeders Foundation is such a big win for the association. It will stabilize the budget for their grant and ensure the program continues to introduce this worthy breed to more herds. On behalf of the Ayrshire breeder community, the foundation board would like to express their gratitude to the Wisconsin Ayrshire Breeders Association for their unwavering commitment to the breed and their outstanding efforts to ensure its success! The board encourages other Ayrshire associations to consider their own programs and the possibility of applying for the foundation’s grant to fund marketing efforts in the future.